1. Reading – I picked up A Spark of Light by Jodi Picoult from the library Tuesday. Even though I’m not quite done with Tear Me Apart by J.T. Ellison, I also had to start the Picoult book. Especially since it’s a two week only loan! 2. Watching – Saturday, my son and I headed into NYC, as we were invited to see the Off-Broadway play Puffs. It’s a fun parody of the Harry Potter books, told from the perspective of the Puffs. Since he’s such a big Harry Potter fan and we read the books together and watched the movies, I knew he’d enjoy it. 3. Eating – Hudson Valley Restaurant Week continues and Friday night my husband and I went out to eat with our supper club. We had a delicious dinner at a new-to-us local restaurant. I can never pass up a braised short rib. Especially in the fall. It’s such tasty comfort food. 4. Mother-Daughter Time – Sunday, I got to spend one-on-one time with my daughter at a Girl Scout Mother/Daughter bowling event. While I didn’t bowl my best, even with the bumpers up, it was a fun time. 5. And More Eating – When we were on our way home from the city, my son and I stopped at Shake Shack in Grand Central for a late lunch. We shared a Chick’n Shack and a Strawberry Shake. We may have almost missed our train but it would have been worth it. Monday I wrote about our recent stay at Crystal Springs Resort. Thursday, I posted “Your Best Weekend.” I am hoping to continue this weekly post now that things have settled down a bit! 1. Weekend Getaway – As I mentioned in last week’s post, our family had a little weekend getaway. Crystal Springs Resort in Hamburg, New Jersey hosted us for the weekend. I have a post coming soon on this beautiful resort. After being so busy, it was nice to have a very relaxing weekend. Most of our time was spent in the biosphere pool. Between the indoor pool, water slide, jacuzzi and heated outdoor pool, we had such a great time. And it’s so beautiful with all the plants and flowers! 2. 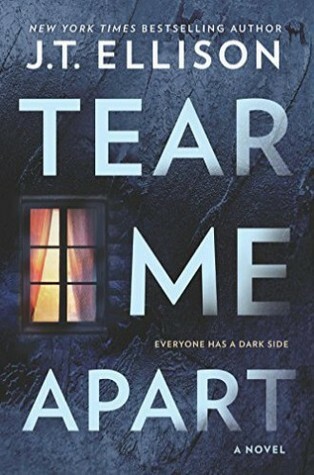 Reading – I am currently reading Tear Me Apart by J.T. Ellison. I just started reading this as my before bed book. 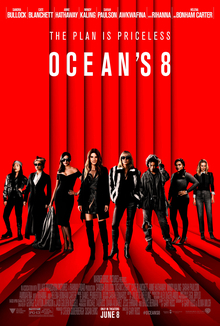 It’s in the thriller/suspense genre but so far it doesn’t seem like it. This is my first J.T. Ellison read, but two of her other books have been on my to read list. 3. Watching – This week we watched the movie A League of Their Own with our kids. After taking a recent trip to Cooperstown, my husband and I wanted to show them some baseball movies. I remember watching this movie growing up. It was fun to see it again and see the kids’ reactions to it. My daughter said, “I liked that more than I thought I would!” Plus, they got excited seeing the National Baseball Hall of Fame on screen, since we were just there. 4. Dinner Out – Hudson Valley Restaurant Week has started. I rarely eat dinner out during the week because we are usually so busy. This week it was fun to be able to dine out with a fellow foodie friend. I introduced her to a local seafood restaurant that I love (can you love a restaurant if you have only been twice before?!). During restaurant week, participating restaurants offer a three course dinner for $32.95. I ordered this octopus dish for my main course. Not only was it delicious, but how beautiful is it?!! 5. Halloween – I really dislike Halloween being on a weeknight! After school we had a quick, early dinner. Then we took the kids out trick-or-treating with their friends. It always ends up being a late night, but they had a fun time…..and might have gotten a little bit of candy! My son was an Overwatch Reaper. For those of you unfamiliar, Overwatch is a video game that he’s into. He’s far more into Fortnite…..but he couldn’t find a Fortnite costume so he went with this one. And we may just have a few leaves in our yard!! LOL!! My daughter was Simon from Alvin and the Chipmunks with two of her friends for the school dance and for the school day on Halloween. Then she was Little Red Riding Hood at night for trick-or-treating. My husband and I are not, and never were, one of those families where we all dress up. I love seeing the family costumes on Pinterest and the Internet, but I hate getting dressed up! Did you dress up for Halloween? Wednesday I wrote about our visit to Fly Creek Cider Mill. 1. 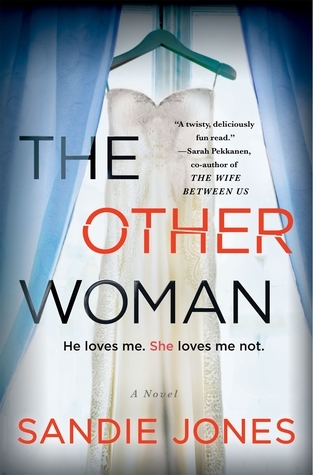 Reading – I will hopefully be finishing up The Other Woman, which I had posted about in last week’s Friday post. 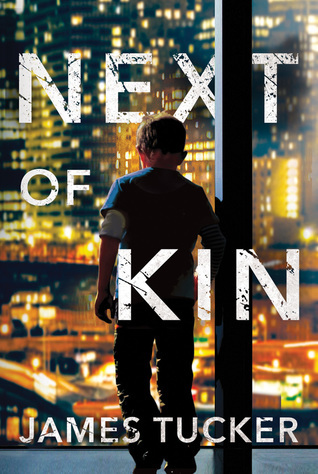 I also started Next of Kin by James Tucker. I don’t like reading multiple fiction books at one time, but this one was smaller than The Other Woman and fits in my purse better! This is a mystery/thriller book that has been quick reading so far. 2. Watching – I watched the movie The Book Club. It’s about a group of older women who decide to read Fifty Shades of Grey. Unfortunately, I didn’t think it was that great. Our family started watching The Carbonaro Effect on Netflix. It’s a prankster, magic show that seriously has us all saying, “How did he do that? !” and laughing lots! 3. Cooking – Saturday night was our monthly supper club. This month’s theme was German. Even though I chose the theme, we all didn’t think it would be that great. We were thinking heavy dishes, lots of sausage, etc. Surprisingly, this meal was delicious! Like, one of our top ten meals delicious. There was chicken schnitzel, stuffed beef roulade with gravy, spaetzle, bierocks (homemade brioche rolls stuffed with ground turkey and cabbage filling), cucumber salad and an apple sauerkraut slaw. I made an apple strudel for dessert. Just typing this is making my mouth water remembering how good this meal was! 4. Making Strides Walk – Sunday morning we got up early to take part in the American Cancer Society’s Making Strides Breast Cancer Walk. It was a super chilly day but we walked the 4.4 miles like champs! 5. Eating – Later that day we treated ourselves to this Peanut Butter and Chocolate “Out of This World” shake from our favorite local ice cream shop. It was the final shake we tried for our Freak Shake post (see link below). No worries, the four of us split this! Tuesday I shared our Westchester County Freak Shakes post. Thursday I wrote about our visit to The Farmer’s Museum in Cooperstown. Sharing with Friday Favorites. Hope you have a great weekend! 1. Reading – I am currently reading The Other Woman by Sandie Jones, which I just started yesterday. At the moment, I’m only 16 pages in so I don’t really have any opinion of this suspense/thriller yet. 2. Watching – The only television that I watched this week was Dancing with the Stars: Juniors which we watched as a family. My children love seeing the kids, some of who they know, dancing. I’m just amazed at the talent of these young kids! We also watched The Hunger Games movie, since my son and I read the book together. 3. Moms Day Out – Last Saturday, several moms went to a local winery/orchard to celebrate the birthday of one of our friends. What started as a rainy morning turned into a beautiful day. It was a much needed and fun day out! 4. Ice Cream Fun – (hosted) While I was out with my mom friends, my husband and daughter were in NYC at the New York City Wine and Food Festival: Family Ice Cream Fun-Dae event. My daughter got to meet Duff Goldman and have her picture taken with him….and eat lots of ice cream! 5. Date Day – (hosted) Last Sunday my husband and I attended the New York City Wine and Food Festival. We had such a great day out together eating delicious food and having some amazing drinks. We also got to see a cooking demo with Chef Robert Irvine and I was able to get a pic of my husband and him. ICYMI this week on the blog I wrote about our visit to the Fenimore Art Museum in Cooperstown, NY. Have a great weekend! Sharing with Friday Favorites! 1. 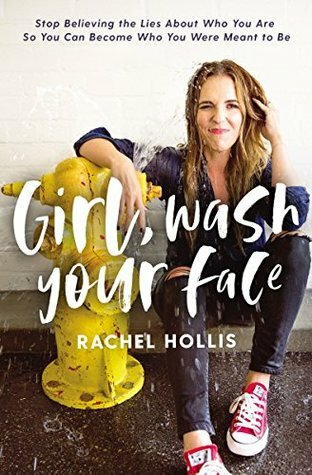 Reading – I picked up Girl, Wash Your Face by Rachel Hollis from the library this week. I’ve been listening to her podcasts, Rise and Rise Together and have found her very inspiring. I can’t wait to read more of this book over the weekend. 2. Watching – All the fall shows! Grey’s Anatomy, You on Lifetime, This Is Us, A Million Little things and New Amsterdam are on my DVR. I’ve also been watching Forever on Amazon Prime. Too much TV, not enough time! What fall shows are you watching?! 3. Traveling – If you follow me on Instagram, then you saw that we were in Cooperstown, NY last weekend. Look for posts about our trip on the blog soon! It was my first visit to the National Baseball Hall of Fame. Plus, we visited the Fenimore Museum, The Farmer’s Museum and Fly Creek Cider Mill. It was a fun, family weekend exploring more of NY state. 4. Drinking – On our visit to Fly Creek Cider Mill we had our first cider slushie. I had never even heard of such a thing before, but now I wish they had them locally. 5. Flu Shots – The kids and I all got our flu shots this week. Definitely not a favorite. But, I want us to be prepared and hopefully not get sick…..because who has time for that?! I’ve told my husband that getting his flu shot is on his to-do list this weekend. Tuesday I shared our Westchester County Bucket List. Thursday I posted the 9th edition of Your Best Weekend. 1. Birthday Celebration – Last Sunday was my birthday. I planned a food tour of some local places that have been on my to try list. Our first stop was at Lazy Boy Saloon for this Cotton Candy milkshake. Follow me on Instagram to see more food pics of my delicious day. It was a tasty day filled with the people that I love! 2. 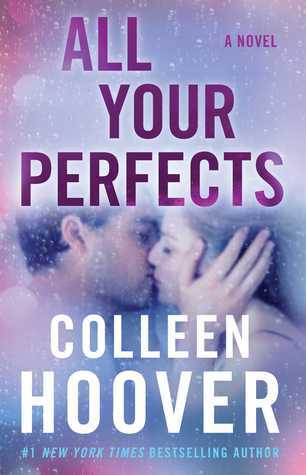 Reading – I just picked up All Your Perfects by Colleen Hoover from the library. Hoover ranks up there as one of my favorite authors and I’m excited to read her newest release. I started this book yesterday but it already has me hooked and I can’t wait to read more this weekend. 3. Watching – Worth It. This is a Buzzfeed YouTube show that is streaming on Amazon Prime. Hosts Steven and Andrew travel to different places trying foods at three different price points – cheap, mid-priced and expensive. Then they vote on which was their most “worth it” dish of the three. My family has been binge watching this fun show. 4. Cooking – While not the best picture, the kids loved these Italian Meatball Sliders that I made for dinner one night this week. I omitted the basil and added the cheese! 5. Quote – I saw this quote at our local ice cream shop and had to take a picture since I love it so much. Definitely words to live by. Monday I shared some recent Food Buys & Tries. Linking up with Friday Favorites. Have a great weekend! 1. 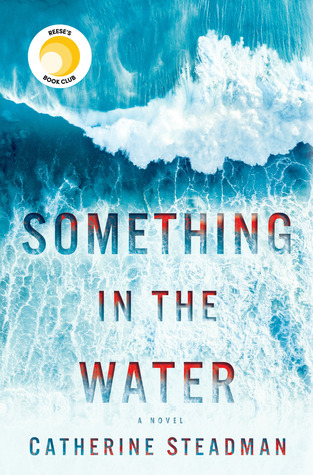 Reading – I just started reading Something in the Water by Catherine Steadman. I’ve started reading thrillers/suspense books again. So far, it’s just okay but I’m not too far into it yet. 2. Watching – You on Lifetime. 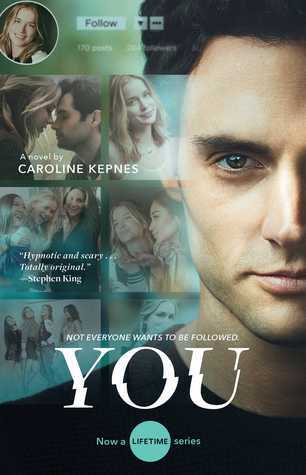 Have you read the book You by Caroline Kepnes? 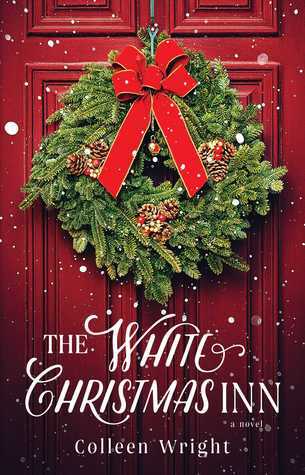 Lifetime has turned the book into a television series, which debuted this past week. I watched the first episode and am hooked. 3. Family Fun – This past weekend was pretty much cold and rainy all weekend. Saturday, before the rain we were able to get in a family hike. I’ve been wanting to hike Anthony’s Nose, a nearby trail with amazing views. I felt so accomplished and got some great exercise! 4. Tween Life – It’s been a recent month of changes for my daughter. Last month, right before school started she got braces. She, who was so excited to get them, is realizing that they are not as fun as they look. This week we also took a trip to the eye doctor to get her contact lenses. We were planning waiting until the spring, when she turned 13. However, we could not find field hockey goggles that fit over her glasses. So, contact lenses it is. She is still adjusting to them, two days in and is having some difficulty getting them in and out. 5. Mom Time – With some cold and rainy days, I’ve been enjoying some time quiet me time. This weekend I finished this puzzle in a day and a half. It wasn’t a very challenging puzzle, but the book lover in me found it fun. I enjoy listening to a podcast while I work on a puzzle just and zone out. What do you do for some me time? Monday I wrote about GoSu an Asian fusion restaurant. Tuesday I shared my August 2018 Reads. Thursday I posted “Your Best Weekend” a guide to self-care, family fun, weekly recommendations and more to help you have your best weekend! 1. Back-to-School – My son started 5th grade this week and my daughter started 7th grade. They are both in middle school now! It’s nice that they both get the bus at 7:25 in the morning, the same time that I leave for work. After two days, they are both slowly adjusting to the early morning wake up time and getting back into the routine of things. 2. Watching – I’ve been back-logged on Bachelor in Paradise episodes. In the little spare time that I’ve had, I’ve been trying to catch up on them. Why does each episode have to be 2-3 hours long?!! I’m almost a bit embarrassed to admit that I watch this show, but it’s really perfect mindless, summer television. 3. Cooking – Back-to-school means meal plans with quick and easy recipes. This week I made Sheet Pan Shrimp Fajitas using Penzeys fajita seasoning instead of taco seasoning, like the original recipe requested. These were really quick and easy to prepare and very tasty! 4. Family Time – Last weekend we got one more trip to Rhode Island in. We went to the beach and my husband and I went on a fishing boat. We always have a fun time visiting my parents and enjoying New England life. 5. 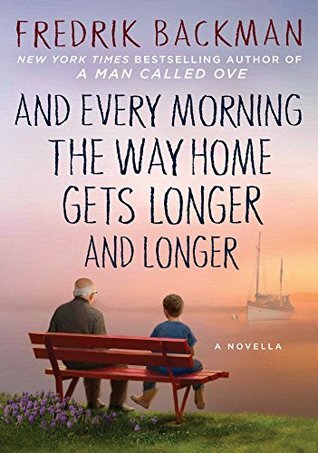 Reading – I am currently reading the novella And Every Morning the Way Home Gets Longer and Longer by Fredrik Backman. I loved his book Beartown and also really enjoyed A Man Called Ove. This one is a short, little book. I just started it, but already started tearing up while reading it. I’ll have it finished by the weekend. Tuesday I wrote about our visit to Denning’s Point Distillery. Thursday I posted Your Best Weekend. Have a great weekend! Linking up with Friday Favorites! 1. 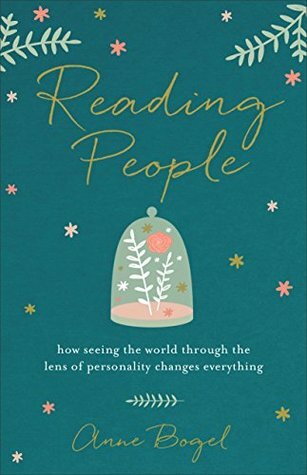 Reading – This week I finished a non-fiction book, Reading People by Ann Bogel. In this book she explains different personality tests and what you can learn about yourself and others from each one. I really enjoyed this book and highly recommend it if you enjoy learning about yourself. 2. Watching – I finally watched The Bachelorette finale last night. You would think with social media I’d see or hear spoilers. Do you know where I saw the spoiler? On the TV at the library of all places! Tuesday we were checking out our books at the library and they have a television that was airing the news. And that is when I discovered who won!! 3. Beach Day – Last weekend my husband and I traveled to my parent’s house in Rhode Island to pick up our kids. I really wanted to go to the beach while we were there but the weather forecast wasn’t looking so good. We decided to go early, while it was gray out, but not raining. It ended up being one of our family’s best beach days. Earlier in the week my parents had taken the kids to the beach but there was so much seaweed, they couldn’t go in the water. On our visit the water was warm enough and clear that my husband and kids went boogie boarding. We went rock and shell collecting as well. And did I mention that there was hardly anyone there? We had the beach almost entirely to ourselves. 4. Snacking – I was kindly sent these Pistachio + Plum Chewy Bites from Setton Farms. I love throwing a couple of these in my lunch bag for a mid-morning snack at work. I love the tasty combo of pistachios and plums. Plus, these are 100% natural, GMO free, gluten and dairy free and vegan. 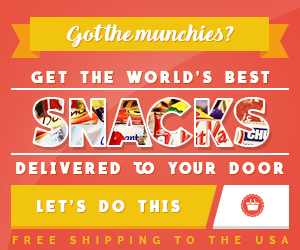 Find out more about these snacks on the Pistachio Chewy Bites site! 5. Cooking – I made these Skillet Balsamic Peach Pork Chops with Feta and Basil from Half Baked Harvest. I am not a big pork chop eater and I loved these! It’s such a great combo of flavors. Monday I wrote about our visit to the Millbrook Vineyards & Winery. Wednesday I posted about our visit to Dorney Park. Thursday I posted a new feature on the blog Your Best Weekend. Have a great weekend! Sharing with Friday Favorites.